The trend for prosthetic limbs has been toward the ever-more-realistic. Hands that can function just like natural hands, arms and legs that respond to brain impulses, and all types of prostheses that look and feel like natural human skin. But this concept is different: it actually emphasizes its mechanical nature. 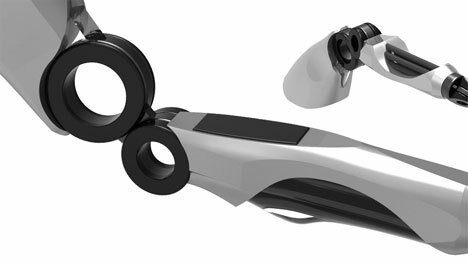 Called simply “Prosthesis,” the design from Creative DNA Austria’s Lukas Pressler and Nico Strobl looks like a classic sci-fi cybernetic limb. It’s bare metal with elegant circular joints and articulating metal fingers. 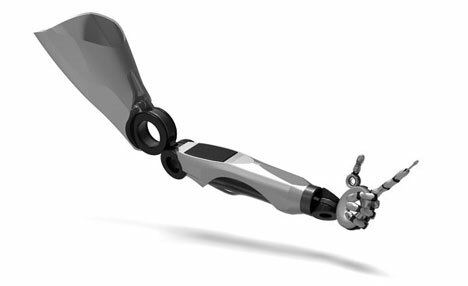 The prosthesis is controlled with myoelectric signals, making it just as functional as a natural arm. 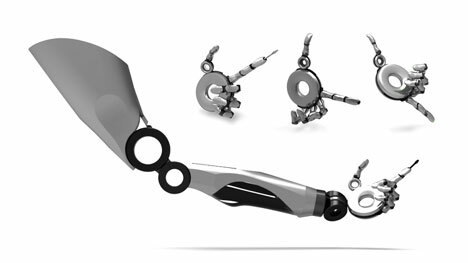 The benefit of the cybernetic-looking arm is that it includes a wide selection of tools: a phone, a camera, a screwdriver, and even a bottle opener, among others. The design embraces its high-tech nature rather than trying to hide it, unlike most other modern prostheses. 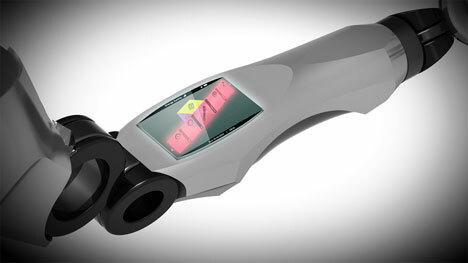 The forearm of the Prosthesis design includes a screen that can be used for fine-tuning the function of the arm. As we shift toward an ever more technology-oriented society, will designs like this become the rule rather than the exception? Will we begin to flaunt rather than hide our cybernetic nature?